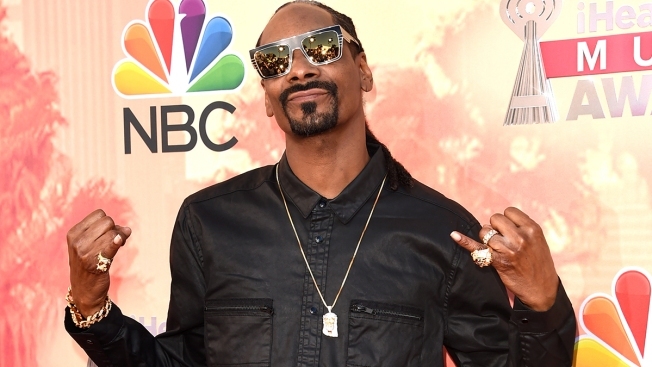 9: Rapper Snoop Dogg attends the 2015 iHeartRadio Music Awards which broadcasted live on NBC from The Shrine Auditorium on March 29, 2015 in Los Angeles, California. The start of the holiday week is here, South Florida – and NBC 6 has the top stories for you. AAA expects more than 54 million people will travel at least 50 miles over thanksgiving. That's up nearly five percent from last year, and the highest number since 2005. The best days to travel: Thanksgiving Day, Black Friday and Saturday. If you are driving, prices at the pump are coming down. The average price of regular unleaded dropped 12 cents over the past two weeks to $2.72 a gallon. In the Miami area, gas is averaging $2.65 a gallon. The Miami-Dade Police Department will be out in full force this week keeping you safe while shopping. Officers in and out of uniform will be patrolling malls and parking lots and encouraging shoppers to lock their doors and if they see something that's not right, say something. Snoop will get a star today right in front of Jimmy Kimmel Live on Hollywood Boulevard. Record producers Dr. Dre and Quincy Jones will also be honoring Snoop at the ceremony. The rapper has sold over 35 million albums and received almost 20 Grammy nominations throughout his career. The 50-year-old says he committed to the race on short notice because it was on his bucket list. He joined about 6,000 others running through the Cuban capital. Americans were the best represented among the participants with 278 running. Marathon organizers say the race was "an extended hand and an open bridge" between the U.S. and Cuba.